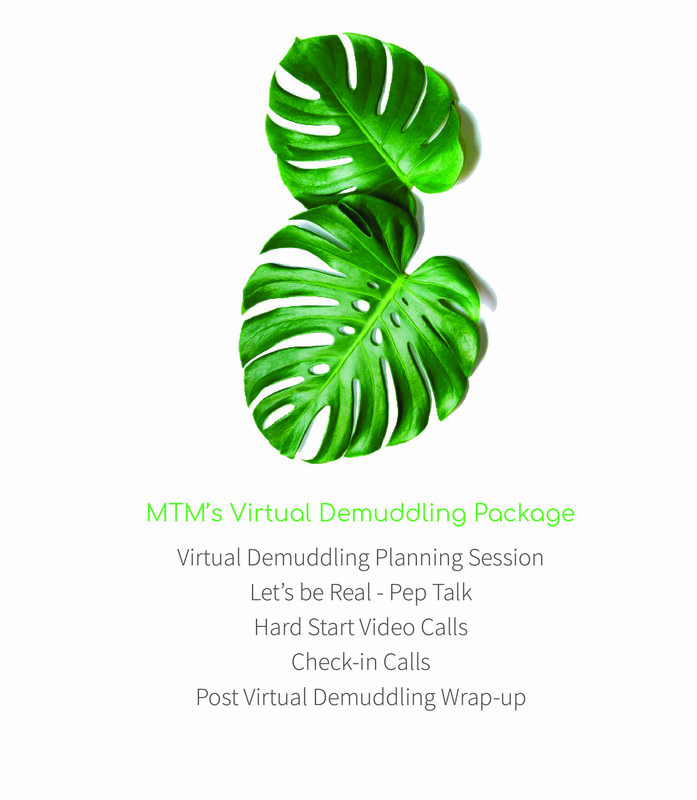 Why I created a Virtual Demuddling service, and is it right for you? After permanently moving to New York I wanted to create a way my clients can still have the demuddling experience no matter where they are in the world. Because I can’t leave New York every weekend, this virtual service allows me to assist clients who need my help immediately rather than waiting until the next time I fly down. The best part of this program is you able to work at your own pace while someone is still holding you accountable to make sure it get done. Sometime its really all we need. While it poses to be less intense than an one on one session, it’s just as effective by giving you the drive and confindence you need. This type of service is for clients who are ready to demuddle themselves and just need a little structed guidenece. Clients who sign up for this needs to 100% commited to following the plan or the results will not be a rewarding. To find out if this is program is good for you, take my quiz that helps you figure out your demuddling personailty. After our phone consultation, we’ll set up a planning session to create a demuddling plan that works for you. Right before our Virtual Demuddling session, I’ll give you a Demuddling Pep talk we’re I’ll detail the process you’ll take and relieve any fears you may have before your big day. On the day of you’ll get a ‘Hard Start’ call which is like me knocking on your door and saying; I’m here, let’s get started! This 30min -1hr call is me walking you through the initial anxiety of sorting through your things. After the call, while you are demuddling, you’re free to message me if you get distracted or overwhelmed to keep you on track. At the end of it all we will wrap it up with a Post Virtual Demuddling call to go over your experience. Kind of like catch up call, it’s a pre-demuddling call to get you ready for our session. We’ll go over the process and chat about why muddle has affected you and how to move pass any negative feelings. Alternatively, you may want even less guidance and just more accountability; here’s where Homework comes in. This program is perfect for someone who is self-driven and task oriented. Clients will also get a Planning session, a Pep Talk and check-in calls but will be required to report on whether they completed their task via photo proof. I know which one is best for me, let's get it!